If you have positioned your website appropriately for search engines, and you are promoting it well through your marketing efforts, you are likely getting a decent amount of traffic to your website. But as you know, website visitors do not necessarily translate into customers. One reason for this is that there is a tremendous amount of competition out there and the loudest voices are typically the ones that get remembered when it comes time to do business. Frequency of messaging helps keep you top of mind with your prospects so that when they are in need of what you offer, they think of you first. One of the best ways to stay top of mind is through email marketing. It is still the best ROI for your efforts and it works. In order to be effective however you have to have a solid list of people to email. Some companies purchase lists of email addresses but this is not something I would recommend. Instead, a far better, albeit slower, way to go is to build your email list organically by capturing information from people who visit your website and consume your content. Here are five actions you need to take to convert your website into a lead generating machine that will help you build your list. The idea is to give away useful, valuable content for free that will help your audience. But in order to make it beneficial to you as well you need to build your content on a landing page and gate your content behind a form, requiring visitors to provide certain information before they can access your content. There are many tools you can use to build landing pages, although most options live outside your website platform. If you have your website on WordPress, Wix, SquareSpace, Weebly and other primary website building platforms, you’ll need some additional tools to set up your landing pages. This is a great, inexpensive option for building landing pages. It will typically cost you $30/month but you will gain access to several other tools as well – such as an email marketing platform and CRM. The nice thing about AllProWebTools (APWT) is that you can build a new page within your current website and then simply create and embed a form onto that page using APWT. The form will capture your lead information, put it into your CRM, and redirect them to a thank you page you set up, again within your existing website platform, where they can access the content. If you are interested in signing up for AllPRoWebTools.com, let us know. INFUSEALLY is a certified AllProWebTools expert and we can answer all your questions, get you set up, and give you a discount on using their services. This is a great option if you want to benefit from using prebuilt templates that have been tested successfully with a large audience. Leadpages will typically cost between $25-$49 per month depending on what you need. With this option, you can connect your Leadpages account to your website platform so that your landing page can have your URL, but the page itself will actually live on Leadpages. Just keep this in mind if you ever want to switch to another landing page provider. Whether you design the graphics yourself or hire a graphic designer, make sure you are using images that are are copyright free or fall under a creative commons license. You cannot just pull any image you find online and use it for your purposes. You can put yourself in danger of a lawsuit if you aren’t careful. Spending a couple bucks on an image if necessary is well worth the investment to avoid being sued. Your job isn’t done when you bring in leads. 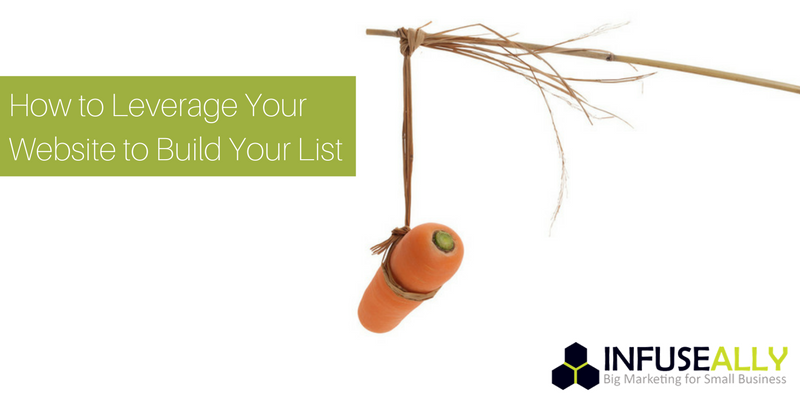 In fact, as you build your list, you need to have a strategy for what to do with them. You need to consider how to continue engaging and nurturing that lead once it’s in your possession, starting with your thank you page (the page people land on when they submit the form to access your content). Think about the content you offer, what would be the logical next step for the person that downloaded that piece of content? Do you have other offers that might be relevant to them? If so, promote that secondary piece of content on your thank you page after giving them access to the original piece of content. Consider ways that you can move your leads closer to making a purchase decision with you and your business. Finally, anytime someone downloads a piece of premium content from your website they should be put into a drip email marketing campaign. Your email campaign should be automated and offer additional valuable content over time with the ultimate goal of leading your prospects further down your sales funnel. This again requires careful thinking and a strategy to determine what your email content should contain, what additional offers you should feature, and how to ultimately encourage them to do business with you. With the proper preparation and strategy you can convert those anonymous website visitors into identified leads that can be used to build your list. It will take time, but with the right strategy you can not only increase your list but build your business as well. Once your landing pages are set up, you need to promote them just as you would your blog. 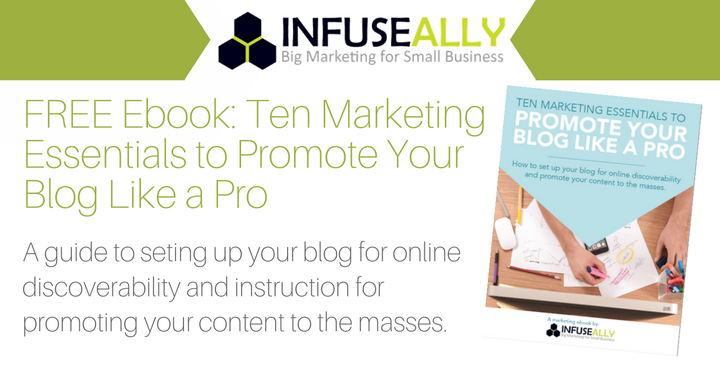 Download our free ebook: Ten Marketing Essentials to Promote Your Blog Like a Pro for how to do it. This entry was posted in Content Marketing, Email Marketing, Marketing Ideas, Marketing Strategy, Online Marketing and tagged content marketing, inbound marketing strategy, marketing strategy, small business marketing. Bookmark the permalink.